To improve germination, soak seed overnight in water prior to planting. Sow into a seedling tray at a depth of 5mm and keep moist. Celeriac is very slow to germinate, it may be 2 or so weeks until you start to see some growth or sometimes longer, be patient. Prepare your EcoWise Planter 2 weeks before planting out your Celeriac seedlings by adding a generous amount of compost, well-rotted cow manure and a small amount of potash. After 4-6 weeks transfer seedlings into an 8cm deep trench, leave a 40cm space between each seedling. Mulch well and keep moist. As the root develops, snip off the side roots and hill up the soil over the swollen bulbous root. Celeriac likes full sun to part shade. Celeriac is a heavy feeder and will appreciate some extra love. Keep plants happy by fertilizing them every 2 weeks during the growing season; use a liquid fertilizer such as Seasol, diluted worm juice or a compost tea. Add aged compost to planting beds 8 weeks after transplanting your seedlings. Avoid planting alongside Pumpkins, Cucumbers, Carrots or Squash. Celeriac requires up to 120 days to reach harvest, the roots should be 5-8cm in diameter. Pull the entire plant and remove the leafy tops, keep the foliage bagged in the freezer for your next batch of home stock. 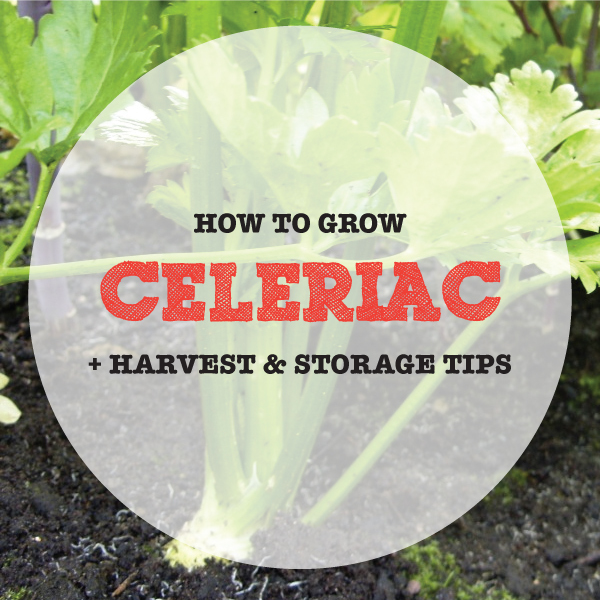 Having lived so long underground, Celeriac enjoys the dark and will store well in a cold moist environment for up to 3 months, this can be in the ground or a root cellar. For fridge storage, remove the foliage and keep bagged in a crisper for one week.